The Disney World Files: Walt Disney World-Fall Free Dining and Fall Room-Only Discounts Now Available! Walt Disney World-Fall Free Dining and Fall Room-Only Discounts Now Available! You heard that right, the Fall promotions have now been released! Here's the information...be sure to contact me if you'd like a free quote or to book your trip. You can fill out the quote form on my website, contact me on Facebook (be sure to "like" my page while you're there!) or use the contact me tab at the top of the page here. The number of rooms allocated for this offer is limited. Tickets are valid for one theme park per day and must be used within 14 days of first use. Don't need a dining plan while at WDW? Fall room-only discounts have been released too! * In addition to the dates above, this offer is also valid for stays Nov 23 to Nov 25, 2013 at Deluxe and Deluxe Villa Resorts. ** Offer valid at Disney’s Art of Animation Resort – Family Suites for stays the following nights: Sept 29 to Oct 5, 2013, Oct 20 to Nov 2, 2013, Nov 10 to Nov 22, 2013 and Dec 15 to Dec 23, 2013. Note: Additional per adult charges may apply if more than 2 adults per room at Disney Value, Moderate and Deluxe Resorts. No group rates or other discounts apply. Advance reservations required. Moderate and Deluxe Resort suites may be available at a lower discount; please call for information. Offer excludes campsites, 3-bedroom villas and The Little Mermaid Standard Rooms at Disney’s Art of Animation Resort and The Villas at Disney’s Grand Floridian Resort & Spa. 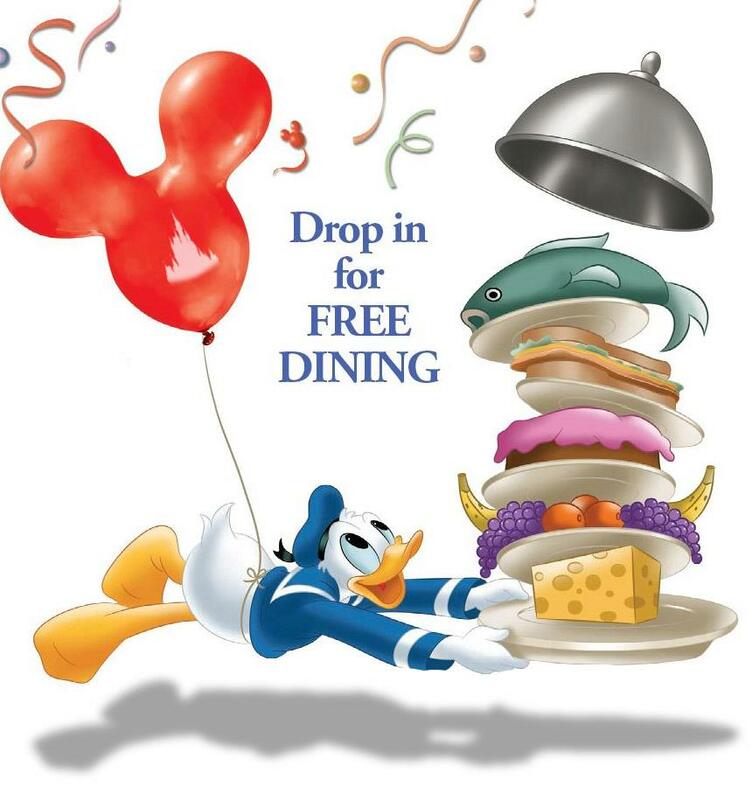 Will you be taking advantage of free dining this Fall? October Disney Prize Pack Giveaway! Epcot-Drinking Around the World...nah, DESSERTS Around the World! Collectible Walt Disney World-Vinylmation and a Giveaway! Giveaway-Win a Special Disney Prize Pack! Giveaway! $1000 in Disney Gift Cards Starts November 1st! September Disney Prize Pack Giveaway!